Trump should reverse what the Clintons did to student loans. He should RESTORE the right to go bankrupt. This huge problem was created by the Democrats who exempted student loans from normal protection for consumers. In addition, the bankers then exploited the entire issue by getting parents to co-sign. The entire argument for eliminating the right to go bankrupt was that they had no collateral. 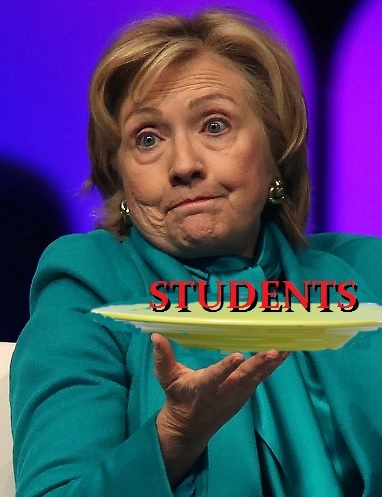 The FRAUD here is the bankers managed to get the Democrats to hand students to them on a silver platter. Then they then pulled a fast one by demanding parents co-sign. That way, they can take their parents’ house.